In the recent years, ventilated facades are gaining traction as a result of the urgent need to create efficient buildings. Architects and engineers are looking for materials that offer strength, flexibility and a contemporary design. 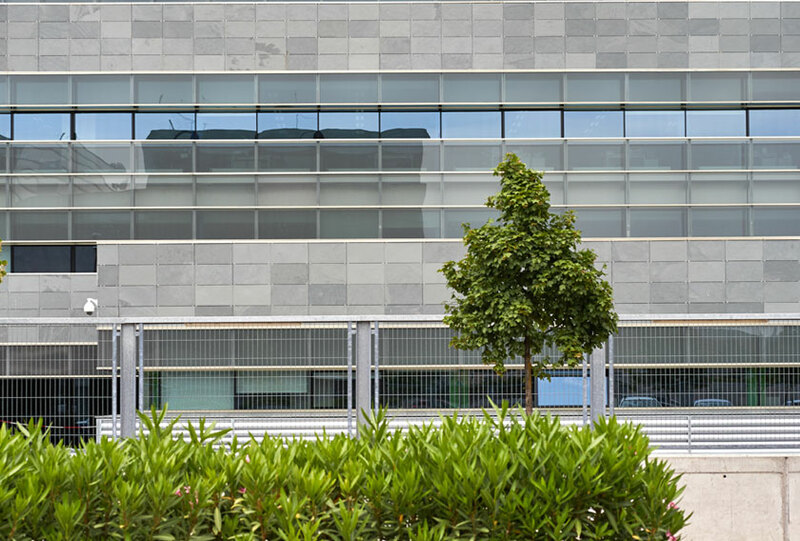 Natural stone offers all the advantages of a sustainable material combined with the benefits of a ventilated façade: energy efficiency, savings on maintenance costs (air conditioning and heating) or thermal insulation. Nowadays, there is an increasing demand in green buildings for business and private houses. Pushed by this interest, ventilated facades are developing technical progressions in order to achieve energy savings. Also known as rain-screens and double-skin facades, this construction system is used across the globe by architects looking for an extra protection for the exterior walls of their buildings. A ventilated facade is composed by a pair of exterior wall skins that are separated by an air corridor. This is used to protect building’s structural walls from the weather conditions. The air corridor will transport heat from the cavity out. The “chimney effect” will reduce the amount of heat that buildings absorb in hot weather conditions, reducing the costs of air conditioning. In winter, ventilated walls manage to retain heat, resulting in savings in terms of heating. When it’s time to decide the external cladding material for a ventilated façade, natural stone can be a wise choice. 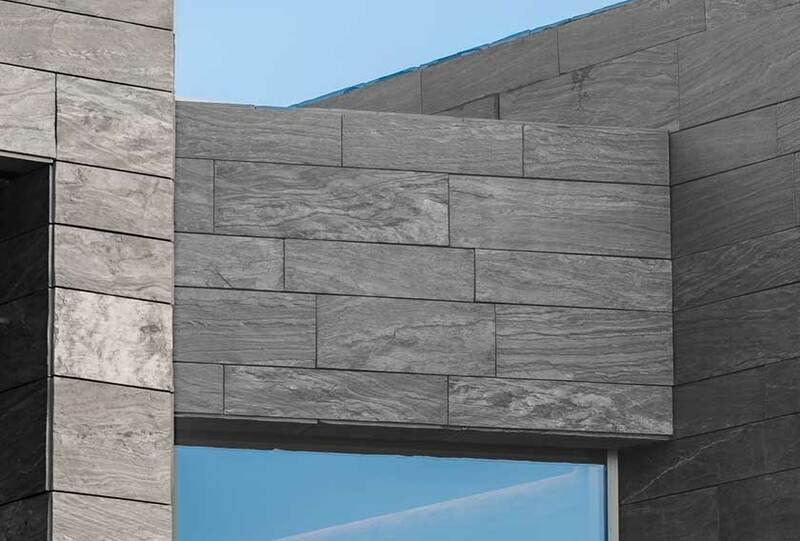 In fact, a stone ventilated cladding system offers the ideal combination of classic tradition and contemporary performance. It enables the use of natural stone such as marble, granit or limestone in a convenient format that is compatible with lighter building structures. Natural stone cladding is most fixed to the support structure by either screw or rivet. These fixings provide a more seamless aesthetic to the most cutting-edge projects. Natural materials can be used to provide a high-end look, along with durability and extended service life. Limestone or granite can fit in well with the local built environment, offering an ideal solution for renovations of heritage buildings, conservation areas or meeting local planning restrictions. Have a look at our latest article about a Passive House Project with a stone ventilated cladding facade. Read our article about the Benefits of the facades clad in natural stone.